Discover the beauty of Venice alongside Exclusive Complimentary Perks when booking your stay at the fascinating Hotel Londra Palace across WhataHotel!. This Italian city tempts tourists in so may ways. 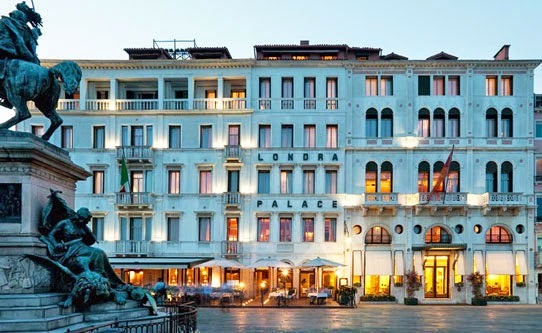 The luxurious Hotel Londra Palace is the perfect place to stay while visiting Venice, with it's historic significance, fashionable guestrooms and splendid service, it truly is one of the Best Hotels in the city. 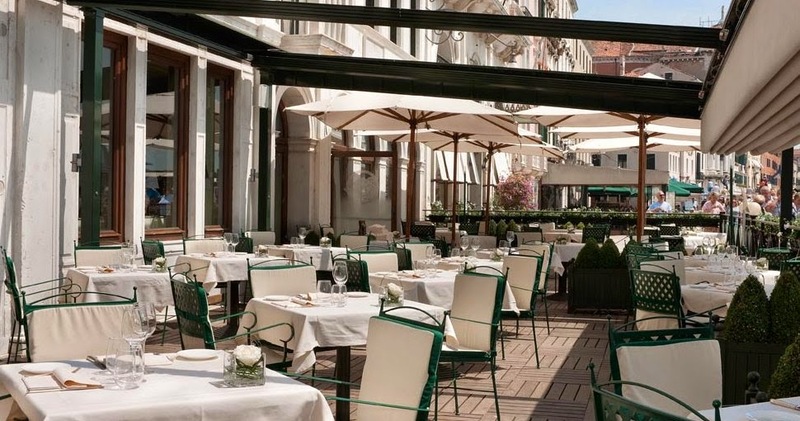 Venice is a destination that is breathtakingly beautiful, and this neoclassical hotel with its prime location, myriad of windows and charming Italian terraces ensures that there may not be a hotel in Venice with a better view. 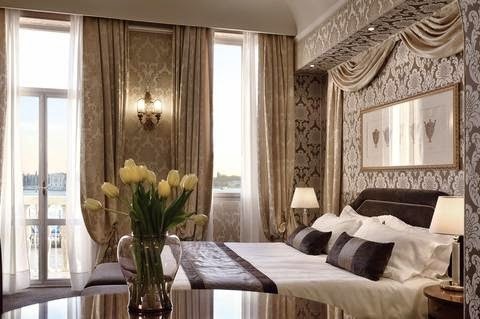 Hotel Londra Palace is right on the Rivi degli Schiavoni and just a few steps from St. Mark's Square. This landmark hotel literally has over 100 windows that overlook St. Mark's Basin which has made it a favorite spot for artists, tourists and cultural greats for over 140 years. There is an authentic feel to this grand hotel, showcasing 53 unique rooms. All rooms and suites feature elegant furnishings, marble bathrooms, stunning views and modern amenities. Visitors will not only fall in love with the well-appointed rooms, but also with the Do Leoni Restaurant. 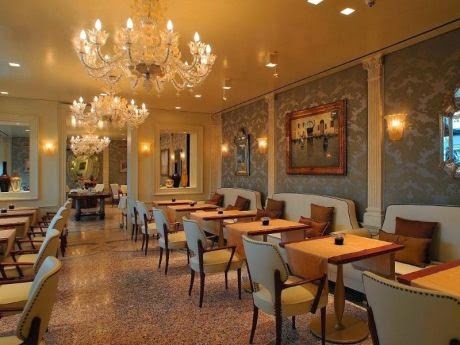 This award-winning restaurant features gourmet meals that captivate both hotel guests as well as Venetian natives. 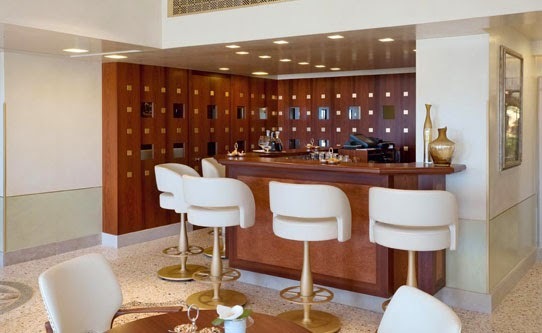 Cocktail time in Venice is almost a sacred time and Londrabar, the hotel's lounge, presents guests with a relaxing atmosphere and tantalizing cocktails to ensure everyone leaves happy. 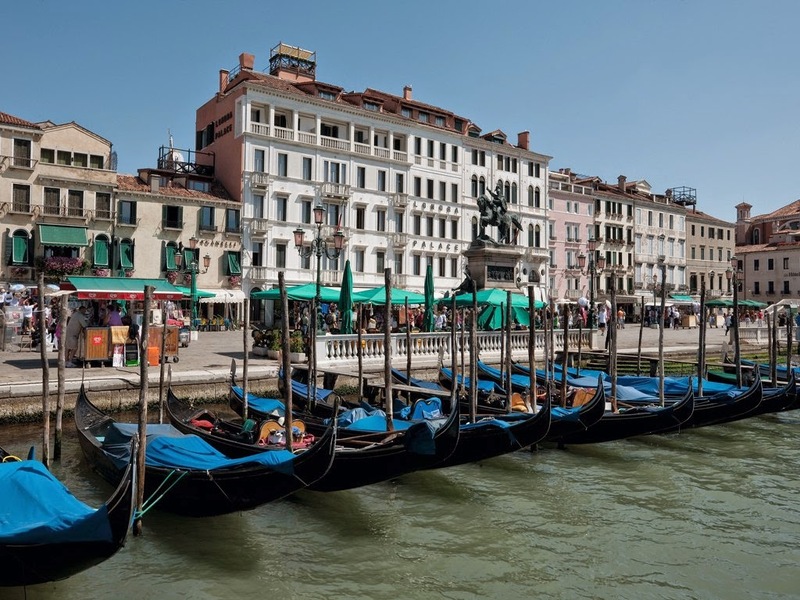 This spectacular locale has so much to offer those that visit, and this small hotel will make certain that each guest feels pampered and is rested and ready to enjoy Venice. When booking your travel to Venice across WhataHotel!, guests can savor Exclusive Complimentary Perks for an exceptional stay. These perks include available upgrades at check-in, a full buffet breakfast for two daily, a 75 Euro food and beverage credit and options for an early check-in and a late check-out. The remarkable Hotel Londra Palace is the perfect place to stay so that you can experience the allure of historic Venice, a city with exquisite architecture, scrumptious food and wine, an exciting culture and so much more.